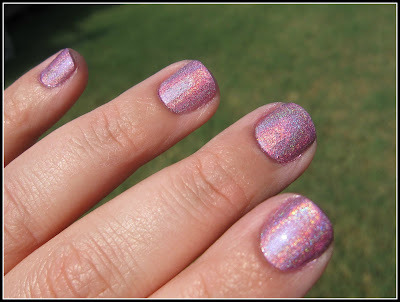 So while browsing nail polish blogs (I cannot believe how many there are! 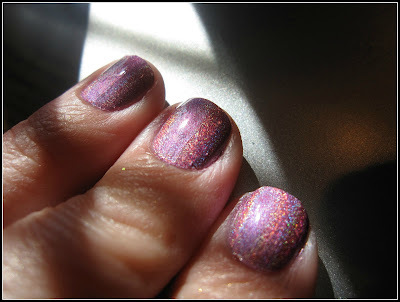 ), I found multiple posts on Nfu Oh brand nail polish. Don't ask me to pronounce it. It says 'Made in France', but is that French? Anyways, I bought 2 bottles, #51 & 64, both of which I LOVE. I did the 51 for my interview, but it's a thick, jelly consistency, and didn't go on well. I will do what others have done, and use it over another color. The #64 is to die for. 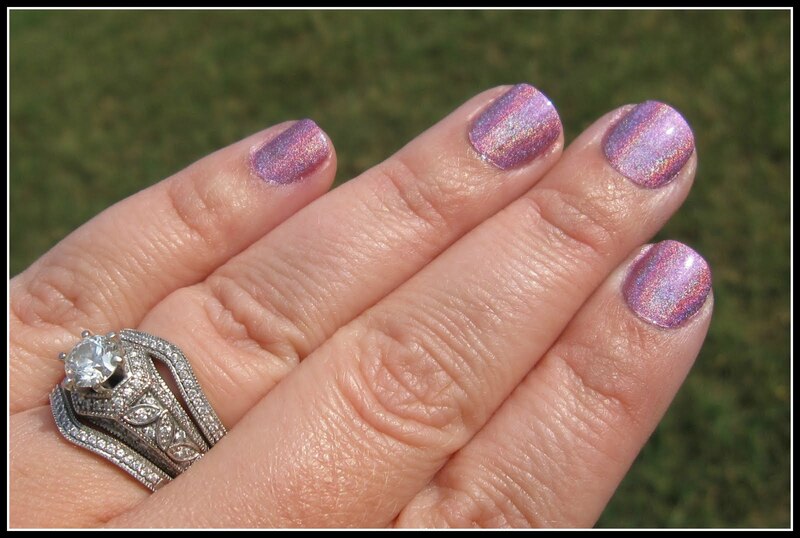 It is without a doubt my all time favorite nail polish. And that's saying a LOT. SO SO SO gorgeous!! Please forgive the short, stubby nails- I am in the process of regrowing. But seriously, I couldn't keep this polish from you, regardless of nail length! I'm going to remove it tonight in an effort to be proactive. I just know as perfect and beautiful as it is now, after making lasagna for dinner tonight, showering, curling hair, etc. it will chip. Seriously, this color is gorgeous. Application: Very smoothe. It left some bare spots which going over again made worse. Be patient, let a coat dry before touching up. I did 2 coats plus spot touch up.